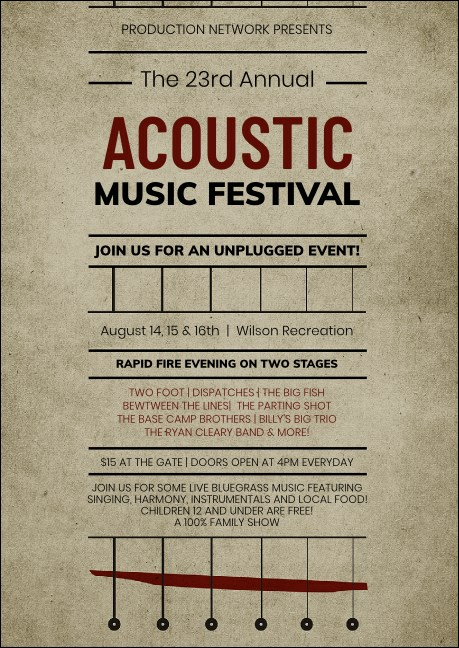 Bring harmony to your event advertising when you send out personalized Acoustic Strings Postcards in advance. Every Postcard features a classic, faded gray background and includes room for sixteen lines of dark red and black text for all the details about your show. If that sounds great, then check out the Event Kit to match! TicketPrinting.com helps you feel the rhythm.